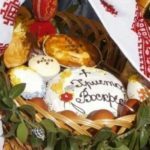 Головна Ukrainian Tradition Ukrainian New Year – Malanka! 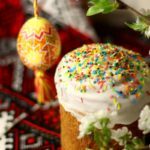 Ukrainian New Year – Malanka! 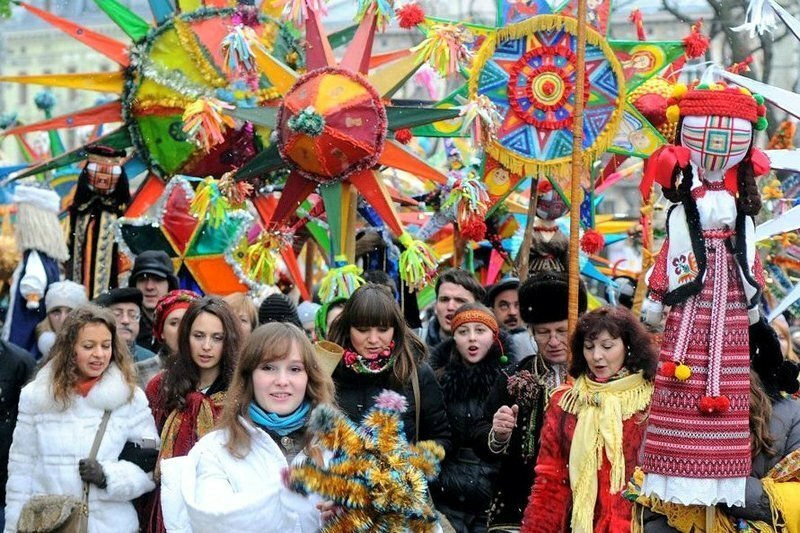 Malanka is a Ukrainian folk holiday celebrated on January 13th, which is New Year’s Eve in accordance with the Julian calendar. Malanka commemorates the feast day of St. Melania. 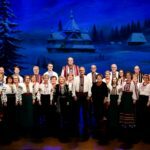 On this night in Ukraine, carolers traditionally went from house to house playing pranks or acting out a small play (similar to “Vertep”), with a bachelor dressed in women’s clothing leading the troop. Malanka caps off the festivities of the Christmas holidays, and is often the last opportunity for partying before the solemn period of Lent which precedes Easter. 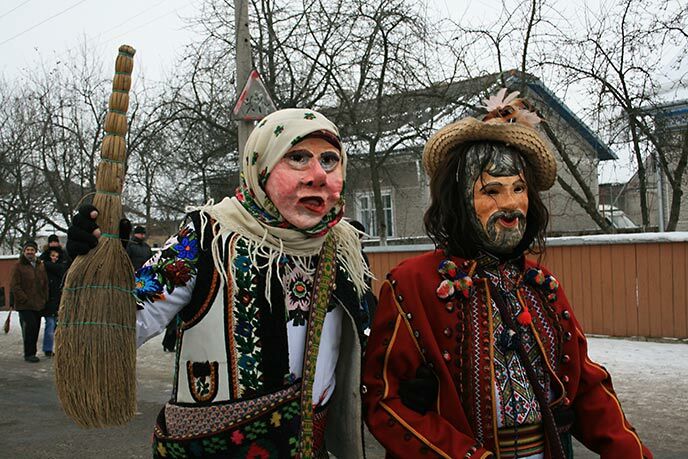 The Ukrainian New Year obtained the name Malanka from a Christianized folk tale of pagan origin, as collected and published by a Ukrainian ethnologist. The story is based on the creator god Praboh, and his four sons and one daughter. One of his sons was the Devil, the second son was St. George (Yar-Yarylo), the third St. John (Rai), and the fourth was Lad or Myr (Peace). The one daughter is an earth goddess named Lada, who had two children: a son called the Moon and a daughter “Spring-May”, later referred to as Mylanka because she was loving (мила). As mother Earth, she was responsible for the blooming of flowers and the greenery of spring. In a version of the myth of Hades and Persephone, Mylanka’s evil uncle (the Devil) desired her presence in the underworld and abducted her one-day when the Moon was hunting. While she was gone, the Earth was left without spring and once she was released from the vices of the Devil, flowers began to bloom and greenery spread around the world. 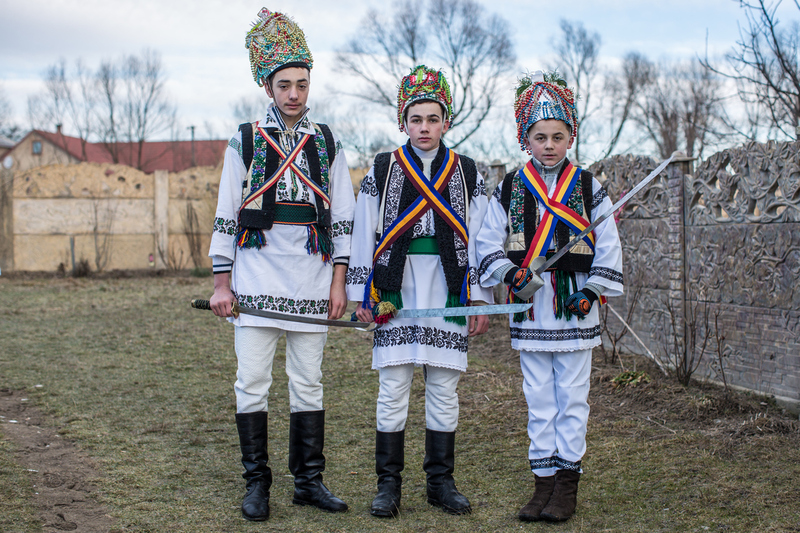 Ukrainians celebrate Malanka to symbolize the onset of spring. 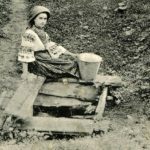 The story may indicate a cultural link between ancient Greek civilization and ancient Ukraine, since Greek colonies flourished on the Black Sea coast 2,500 years ago. 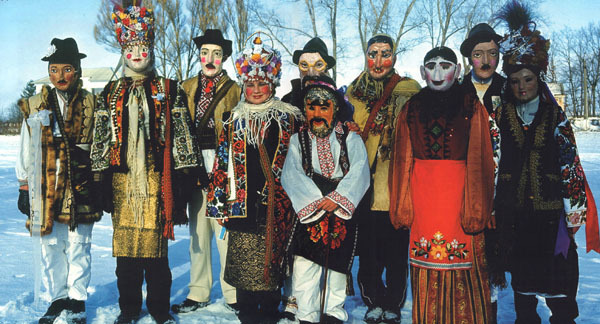 In North America it is traditional for Ukrainian organizations such as Business and Professional Clubs to celebrate Malanka with a banquet and a dance. Malanka commemorates the feast day of Saint Melania the Younger. 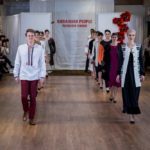 On this night in Ukraine, carolers traditionally went from house to house playing pranks or acting out a small play (similar to Vertep), with a bachelor dressed in women’s clothing leading the troop. 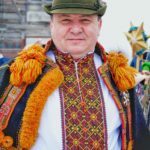 Today, Ukrainians all over the world still follow this tradition but with different variations that have been passed down from their ancestors. People gather in groups, dressed in traditional Ukrainian clothing and holding props such as the star and go door to door to their neighbours, nearest friends and family. This is called a Koliada, which starts on 6 January, Christmas Eve (Sviaty Vechir) and ends on 19 January. Traditionally, the first thing to do when you are invited into the family’s house is to have the eldest male throw wheat grains around the entrance, which gifts the family with happiness, health, love, luck and more. As the male is throwing the wheat grain, he is saying a verse (вірш). Once this is completed, the rest of the carolers join in. 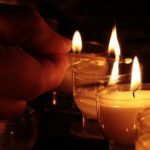 Each person sends wishes to the family through these verses, they perform little skits and in between each of these, they sing traditional Ukrainian carols (Kolyadka). 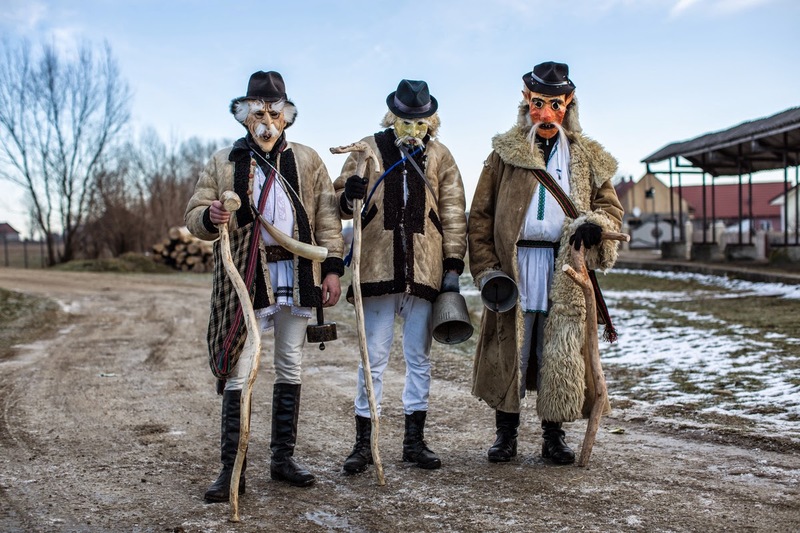 In the evening before the Malanka night, young men put on all kinds of costumes, some of them weird and bizarre — Devils, Warriors, Police, Witches, Old Women and Men, Death, Blacksmith, Jews, Gypsies, Turks, Hutsuls and representatives of other nationalities. 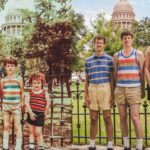 All of these people in their disguise move from house to house performing their little plays and improvisations for those who would care to see their performance. They make very much noise, and in addition to music, they play practical jokes on people — but no one ever gets harmed in any way. Well, the celebrants can attempt to kiss a beautiful girl, or do some mischief, but it’s all in jest. 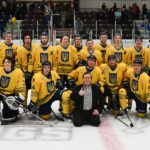 In North America, Ukrainian organizations have created events at banquet halls to help celebrate Malanka. These events typically occur a week after Christmas Eve (Old Calendar), but not necessarily falling on 13 or 14 January. This gathers the whole community and allows everyone to enjoy themselves while honoring their cultural background. People come to these events ready to socialize and celebrate the New Year with friends and family. The event provides a nice dinner with raffles and prizes to be won and ends with a zabava (dance). 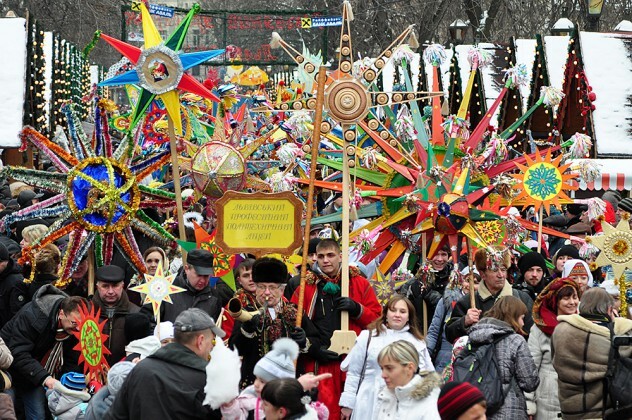 At midnight, once everyone cheers for the New Year, individual and pair polka dancing is stopped and the kolomyjka begins. When the kolomyjka is finished, everyone resumes to their previous dancing and continue to party the night away. 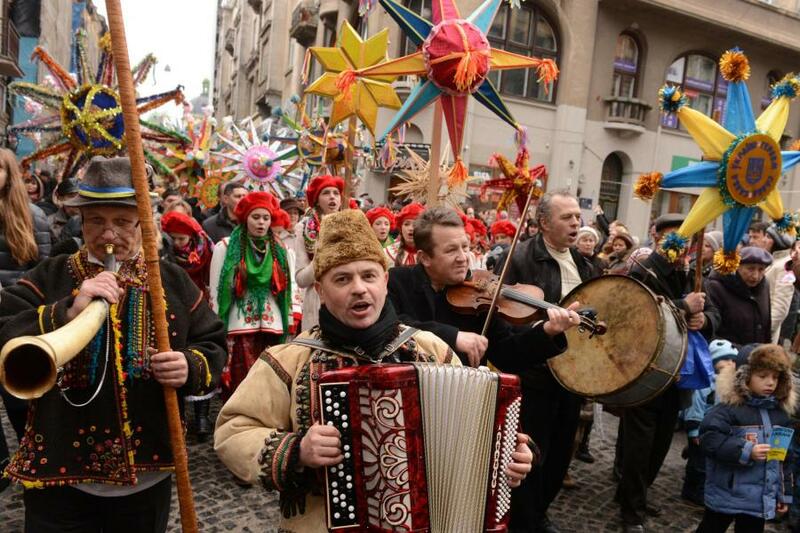 Malanka is often the last opportunity for partying before the solemn period of Lent which precedes Easter.